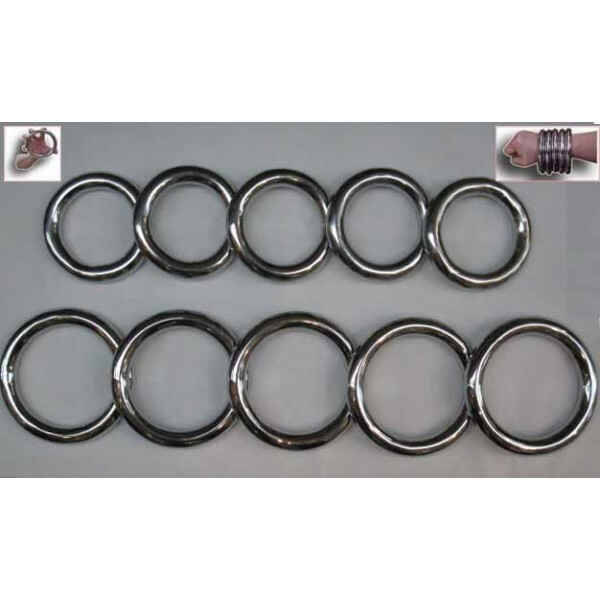 Metal training rings set of Ten - Bok Lei Po Trading Inc.
Two sizes: 3" or 4" dia. 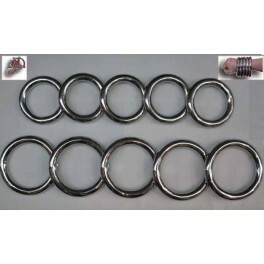 Metal training ring helps you to condition and strengther your forearm. it is good for tiger claw, eagle claw or any other style to do with claw. this ring moves up and down, rolling in your forearm when you are punching, blocking, it makes your whole forearm bone harder and stronger. there are two sizes for you to choose. small size inside diameter is 3 inches, the weight is 1.55 Lb. Large size inside diameter is 4 inches, the weight is 2 Lbs. sold by set of 10 rings.